Moroccanoil Clarifying Shampoo (250ml) effectively removes all traces of impurities, chlorine and product build-up from your hair and scalp, leaving your locks completely detoxed. Ideal for use every 2 weeks, it's also great for using before a colour treatment, as it helps you to achieve vibrant and even results. Wet hair completely to activate a rich, luxurious lather. 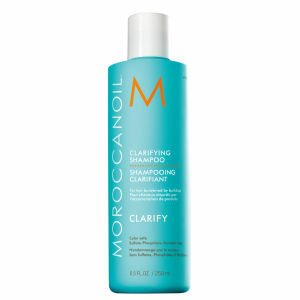 To completely lift buildup, continue to add water while gently massaging throughout hair and scalp. 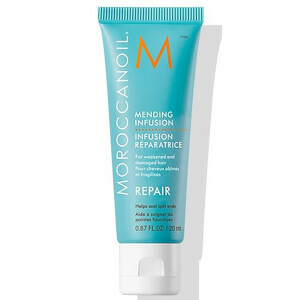 Follow with a Moroccanoil conditioner or mask. May be used twice a month; or up to once or twice weekly for those who use a lot of hair products, swim regularly or have hard water.